Do you represent a North Carolina Government Agency and wondering how you should archive all your web and social media content? Are you trying to determine what you need to do both from a legal and a technical point of view? Here’s a guide to the different Laws and processes you should follow. 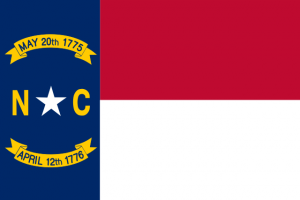 What Laws govern Records Management in North Carolina? Chapter 132 of North Carolina General Statutes (NC Public Records Laws) provide for the preservation and production of public records by the relevant agencies, and regulated access for the public to these records, regardless of physical form. The State Archives of North Carolina has also created a set of policies, guidelines, and best practice documents to help agencies and local governments address electronic records in their office. Do North Carolina Records Laws include Website and Social Media Content? Yes they do, as all agency-related records created within the use of an integrated service package are “public,” regardless of form and the relevant metadata is also pertinent to these laws. Communication through agency-related social media is considered a public record under G.S. 132, and even private messages should be treated as public records. An Agency of North Carolina government or its subdivisions shall mean and include every public office, public officer or official (State or local, elected or appointed), institution, board, commission, bureau, council, department, authority or other unit of government of the State or of any county, unit, special district or other political subdivision of government. (§ 132-1. “Public records” defined). Your agency website must be retained in electronic format and remain usable, searchable, retrievable and authentic for the length of the designated retention period. All agencies should set all privacy settings of agency social media accounts and websites to public, assume responsibility for public records and adhere to the schedule of collection for social networking Web sites set by the North Carolina State Archives. A records management system for efficient management methods to the creation, utilization, maintenance, retention, preservation, and disposal of official records shall be administered by the Department of Cultural Resources. It shall be the duty of that Department to establish standards, procedures, and techniques for effective management of public records. § 132-8.1. In which form do I need to archive my record? As websites are collections of related webpages meant to be explored as a whole, they should be preserved as such, in the original format, and North Carolina State archives recognise WARC as an open, publicly documented standard and advise PDFs to be used when possible. Additionally, “if a law requires a record to be in writing, an electronic record satisfies the law provided it complies with the provisions of this Article.”3 3 N.C.G.S. §66-317(12). Uniform Electronic Transactions Act. (2000). For electronic records to be deemed admissible, there must be a prima facie showing that the process or system is trustworthy in terms of producing an accurate result. So people requesting copies of public records may ask for certified or uncertified (i.e. printouts) copies of documents- but only certified copies have the force of original records. How can we transfer website archives made with PageFreezer to the NC State Digital Archives? PageFreezer exports all data on request in the original file format including the required metadata. This data set can be transferred by FTP or by other means to the North Carolina State or Agency Digital Archives.